Religiosity index shows the changes in religious activity in the United States. 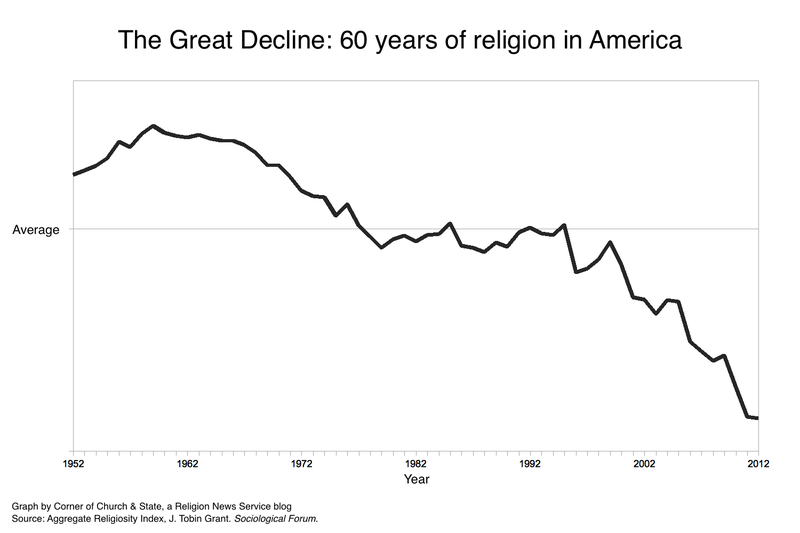 Religiosity in the United States is in the midst of what might be called ‘The Great Decline.’ Previous declines in religion pale in comparison. Over the past fifteen years, the drop in religiosity has been twice as great as the decline of the 1960s and 1970s. How do we track this massive change in American religion? We start with information from rigorous, scientific surveys on worship service attendance, membership in congregations, prayer, and feelings toward religion. We then use a computer algorithm to track over 400 survey results over the past 60 years. The result is one measure that charts changes to religiosity through the years. (You can see all the details here). The graph of this index tells the story of the rise and fall of religious activity. During the post-war, baby-booming 1950s, there was a revival of religion. Indeed, some at the time considered it a third great awakening. Then came the societal changes of the 1960s, which included a questioning of religious institutions. The resulting decline in religion stopped by the end of the 1970s, when religiosity remained steady. Over the past fifteen years, however, religion has once again declined. But this decline is much sharper than the decline of 1960s and 1970s. Church attendance and prayer is less frequent. The number of people with no religion is growing. Fewer people say that religion is an important part of their lives. All measures point to the same drop in religion: If the 1950s were another Great Awakening, this is the Great Decline. 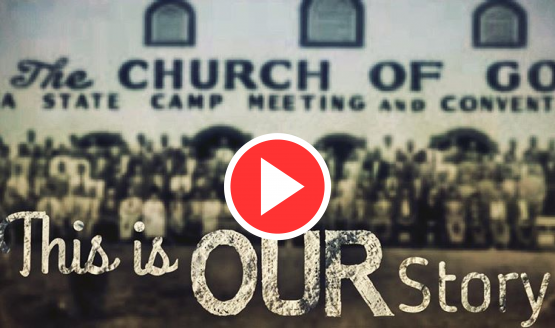 We believe in last days signs and one Last Days Great REVIVAL! 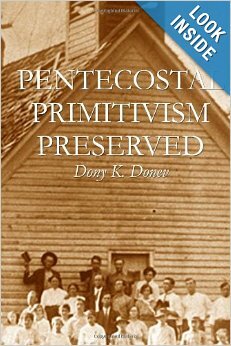 The Bible speaks of two rains related to Pentecostalism. The Early/Former rain, being the original Pentecost in the upper room in Jerusalem; and the Latter rain – the modern Pentecost starting with the Azusa Street Revival. In our ministry alone, we have not seen the Spirit moving in such a powerful way since 1998-99. For many years now, we have prayed and prepared for such a time when God begins to renew the covenant with His people. And we are determined to be part of this Last Days Great Revival. We invite you to participate in this great move.